Many plants can be considered curious...this is one of them. Mayberry produces small fruits that resemble the common Blueberry, but let's start from the beginning. 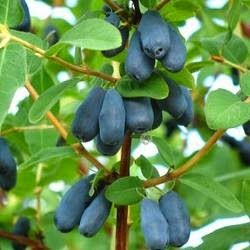 The Sweetberry Honeysuckle is a crop that, fruits similarity apart, has little in common with the best known Blueberry (Ericacea) that we can found in every market. 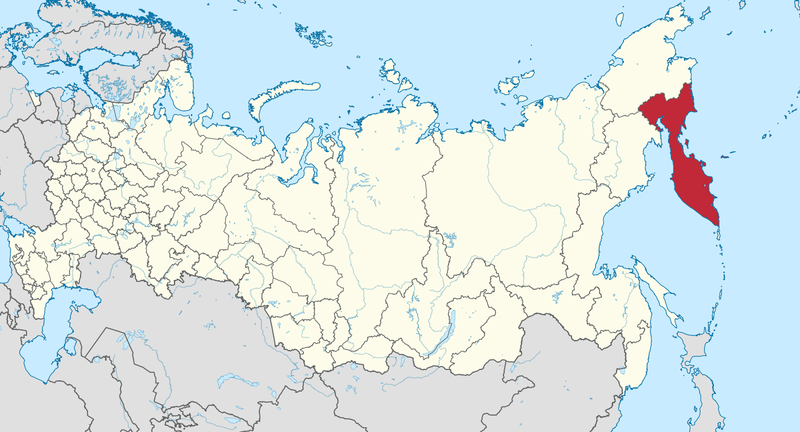 This plant, in fact, belongs to the family of Caprifoliaceae and it originally comes from the remote peninsula Kamchatka lying at the far est of Siberia near to the Bering sea. This plant evolved to thrive and bear fruits in one of the coldest zone of the world. It's not surprising that it can withstand temperature as low as -40°F during the winter and its flowers can resist without any damage at 18-14°F. It's a deciduous shrub of small size, very long-lived and it, unlike Blueberry, thrives also in not acid soil. This is a young shrub in late spring with its new shoots. At the first warm the gems open. This happens between February and March. After the sprouts start growing and the future flowers can be observed. And, between March and April, the flowering begins. The bell-shaped flowers are yellow and evoluted to withstand severe frost without getting burnt. The opening time lasts many days and the plant is self-fertile even if cross-pollination will enhance the fruits production. Soon after, the flower drops and the small fruit can be seen. The increase in size is very fast. And, at the end, the fruits ripen during a long period as it was for the flowers. The ripe fruits are blue and can be 0,8 Inch in lenght. The taste varies depending on the degree of maturation. If picked when purple, before turning blue, they taste harsh and bitter remembering the taste of Ribes. At full ripe, when they have a bright blue color, the berries soften and become sweeter with a taste of a mix between Blueberry and Raspberry. A curious fruit made by a particular plant that deserves a small place in every garden. This fruit ripens very early during the season, even before Strawberry, and it's the first fruit of the season. Normally it starts ripening during the month of May. The bark flackes off very easily and looks like as a Grape.